Our product range includes a wide range of elbow pattern. We are one of the topmost manufacturers, traders, and exporters of a wide array of optimum quality Elbow Pattern. The offered products are manufactured from finest quality aluminum, which is obtained from well established vendors. 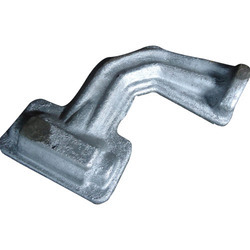 These products are widely used in various fabricating industries for casting aluminum into elbow components. The offered product can be custom designed as per the requirements of our valuable customers. Looking for Elbow Pattern ?